Given how thoroughly 21st century they were, you wouldn’t expect one of Something Corporate to be daft about mid-to-late-80s AOR. Still, Andrew McMahon undoubtedly is, and a fine job he makes of exploring that seldom-ploughed furrow too. The vocals remain squarely post-Green Day, but there’s a Brat Pack brazenness to ‘American Love’ and ‘The Resolution’, and the nimble piano work is heftily indebted to Bruce Hornsby. Plus, having negotiated his brush with leukemia, he’s an engagingly positivist songwriter, particularly on ‘Caves’ and the epic ‘Swim’, and unafraid of such risks as the huggably adrift ‘Annie Use Your Telescope’. 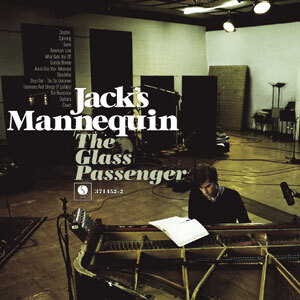 Essentially, then, as Jack’s Mannequin, McMahon’s the very model of revivalist reinvention.